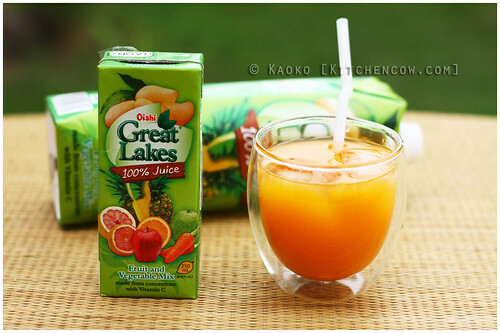 Oishi’s Great Lakes Juice wasn’t on my radar, so I was thoroughly surprised when Oishi sent a Great Lakes package my way. 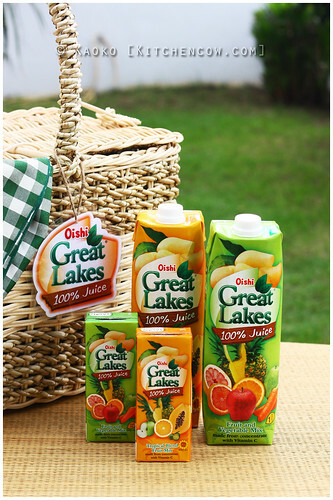 Great Lakes is a juice drink made from 100% fruit and vegetable juices. A quick scan of the ingredients showed that there were no artificial flavors, sweeteners, colorings, or chemicals I can’t pronounce, definitely a good sign. 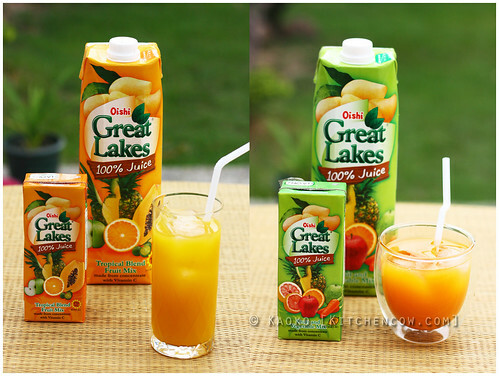 Great Lakes has two variants, the Tropical Blend Fruit Mix and Fruit and Vegetable Mix. Both flavors lean heavily towards the fruity, with the mango, orange, and apple flavors shining through. Both aren’t too sweet, relying on the natural fruit sweetness instead; definitely a plus in my book. The papaya lends a more mellow sweetness to the tropical blend, while the carrot adds a tinge of savory to the vegetable blend. I favor the vegetable blend, but not by much. I like them both, really, and so does Miffy. Great Lakes is available in baon-sized 250ml packs and 1-liter packs that’s perfect for sharing with the family, or for keeping a pint-sized dinosaur who has perfected the art of fridge raiding nourished. 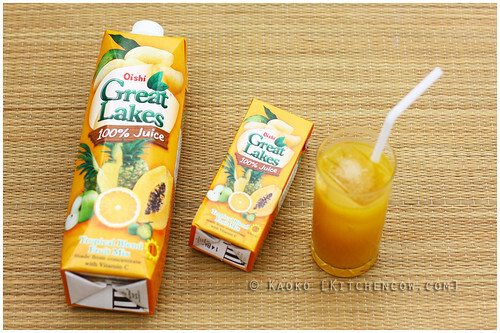 It should be noted that Great Lakes is made with reconstituted fruit and veggie juice concentrate, unlike some other imported brands that are packed as fresh fruit and veggie juice. Don’t get me wrong; Great Lakes is all natural. But if you want something that is purely juice packed right in their country of origin, you need to be ready to pay the price, the difference ranging from 50% more expensive to twice the price. That said, flavor and content-wise, I’m more than happy with Great Lakes. Great Lakes is all natural, refreshing, conveniently packaged (I love the screw cap that lets you store the box sideways in the fridge), and affordable. Those are a lot of points scored in my book. 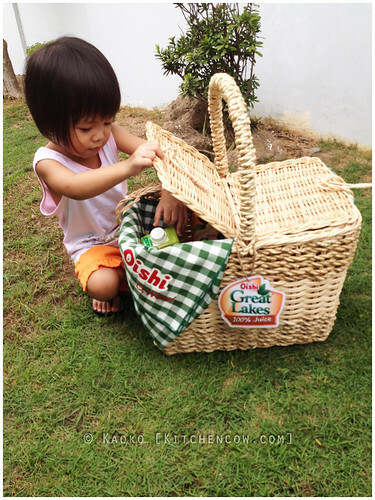 Oishi provided trial samples of Great Lakes for review. No other compensation was received. Opinions are writer’s own.